Most homeowners pride themselves in keeping the interior of their homes clean. Vacuuming, dusting, washing dishes and even washing windows are all regular items on the “to do” list. Did you realize, however, that the ultimate cleanliness of most rooms in your home is largely dependent upon whether or not the carpets are clean? The carpeting in your home is similar to the liver in your body, which traps toxins from the blood and helps the body expel them. Your carpeting traps pollens, bacteria, dirt, dust mites, mold spores and other pollutants that enter your home through doors and windows, on clothing and shoes, and even on your pets. The difference is that this debris gets trapped deep in the fibers of your carpeting and has nowhere to go from there. It simply accumulates, affecting the air quality and overall health and cleanliness of your home environment. While an air filter may help, it won’t be enough. As long as you have dirt and debris stuck in your carpeting, your home will never truly be clean. Furthermore, the unfortunate truth is that most home vacuum and carpet cleaners do not have enough suction to ever even reach this deep-down dirt. That’s where OxiGreen Carpet Cleaning in Southampton, PA comes in! We are a locally owned, professional carpet cleaning company with a commitment to “green” cleaning. We use our state of the art, truck-mounted carpet cleaners with 100% biodegradable and non-toxic cleaning agents to deliver an effective and efficient service. Our powerful carpet cleaning machines will blast hot water deep into your carpets, dislodge the pollutants, and remove them along with 98% of the water used in the cleaning process! 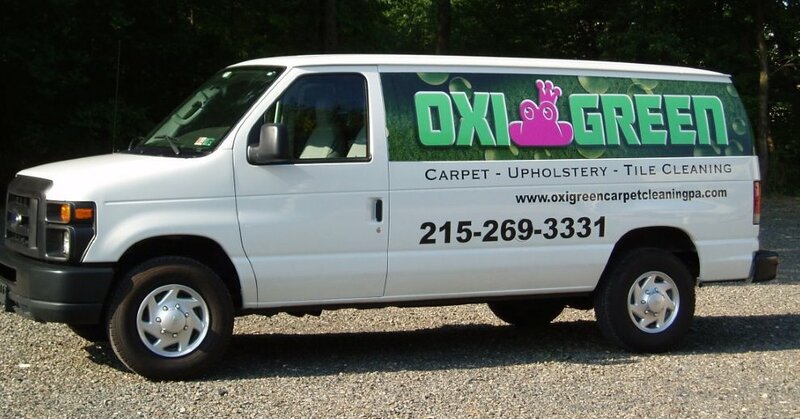 Call OxiGreen in Southampton, PA today at 215-269-3331 for the freshest, cleanest and fastest drying carpets ever!